A bi-annual inspection allows a technician to identify dirty coils and burned out contactors before they cause long term damage to your system. Butler Air Solutions, along with most major manufacturers, recommend annual preventative maintenance on your cooling and heating systems to ensure reliability, efficiency, and safety. You wouldn’t drive your car 25,000 miles without changing the oil. The same logic holds true for your home or business cooling and heating system! 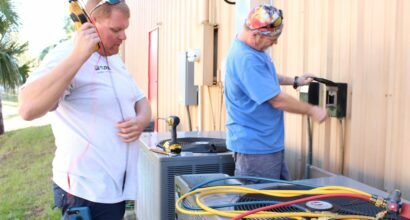 We maintenance all air conditioning units, even if we didn't install it! We provide maintenance for all major brands of A/C (HVAC) equipment, including; York, Trane, Carrier, Goodman, Amana, Rheem, Rudd, Maytag, GE, Comfortmaker, Heil and more.